Athenahealth's booked business fell 4.8% to $74.9 million in the second quarter compared with the same period in 2017. Meanwhile, the electronic health record system company posted revenue growth of 10%, rising to $331.9 million, using a now-discontinued accounting standard for apples-to-apples comparisons. Net income climbed to $36.1 million in the quarter from $9.9 million a year earlier. Executives were not alarmed by the decline in bookings, which were also down in the first quarter of the year. 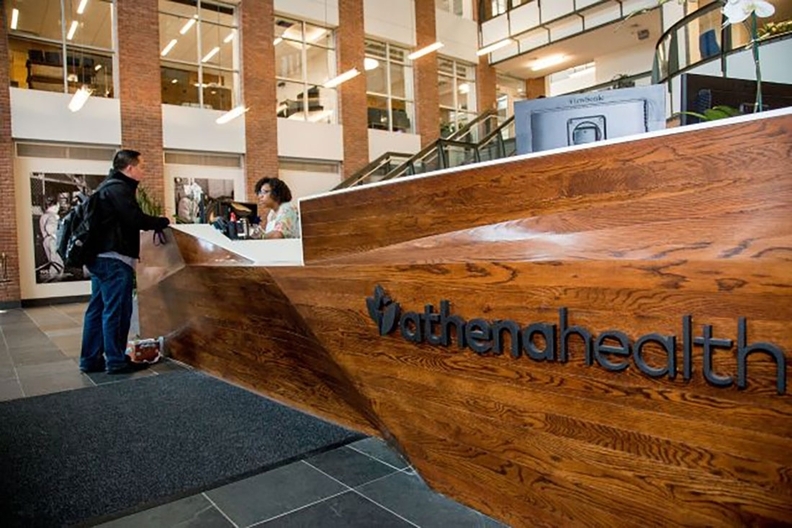 "Bookings can be lumpy during any given quarter due to the mix of large deals in any given period," Athenahealth Chief Financial Officer Marc Levine said on an earnings call. "We continue to see fewer large deals in the market," he said. To improve bookings, the EHR vendor must improve its "execution" and add new features, Levine said. Other matters during the quarter were more significant. The previous three months were, Levine said, "quite an eventful quarter," referring obliquely to executive leadership changes and a fight over the company's ownership. In June, Athenahealth's CEO going into the quarter, Jonathan Bush, resigned after it was made public that he had violently attacked his now ex-wife, had settled a sexual harassment claim, and had acted "inappropriate(ly)" at an industry event. Since the resignation, Levine has taken on additional leadership responsibilities, and Athenahealth employees overall have "rallied," Athenahealth Chairman Jeffrey Immelt said. "The overwhelming sentiment with our employees and clients has been one of optimism and confidence," he said. The future of the company remains uncertain, as the company's board of directors continues to mull a sale to Elliott Management, which has a roughly 9% stake in Athenahealth. The most recent offer, for $160 per share—or nearly $7 billion—is Elliott Management's second. Athenahealth's board rejected Elliott Management's first proposal to buy the company in November 2017. The company is still considering a possible sale, Immelt said, as well as a merger, "other transaction" or staying independent. There's no set timeline for making a decision, Immelt said.